With Latimer Road behind us, Echo and I ventured onwards towards the end of the branch and the start of the Circle Line’s actual circle bit. Ladbroke Grove was our next stop, which instantly made me think of Bedknobs and Broomsticks (a Disney classic), thanks to this stop being the one for Portobello Road. So, naturally, the song of the same name was stuck in my head during the entire duration of being on the Platform to the point I actively stopped paying all that much attention to the surroundings. 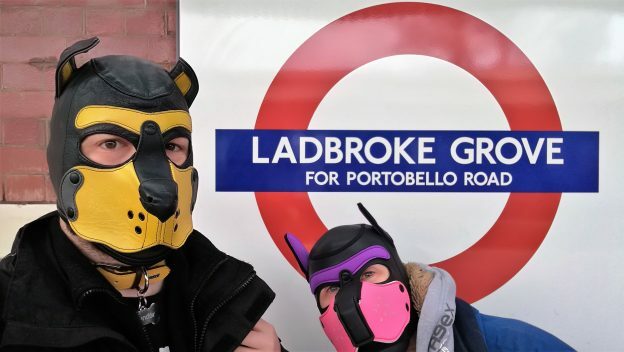 Once we had gotten our pictures, we jumped back on the train, still in hood and wore the hoods all the way to our next station, much to the silent bemusement of travelling Londoners. This entry was posted in 2) London Underground, Circle Line, Hammersmith & City on January 23, 2019 by CondorBriarpup.